UNIVERSITY PARK – Essence of Joy, one of Penn State’s student choral ensembles, has helped usher in the winter holiday season at WPSU-FM’s Winterfest for the past three years, and the 2014 edition will be no exception as the holiday concert returns to a larger venue. ‘Winterfest ’14: Our Gift in Song,’ featuring Essence of Joy, will be held at 7 p.m. Dec. 12, at Presidents Hall in The Penn Stater Conference Center Hotel. The performance will also air live on WPSU-FM. Essence of Joy, which is comprised of 41 undergraduate and graduate students, performs sacred and secular music from the African and African-American choral canon. The ensemble will perform “Born to Die: Opus 25, A Christmas Cantata,” composed by Glenn Burleigh, at this year’s concert. Leach, who also serves as a professor of music and music education at Penn State, founded the group in November 1991. 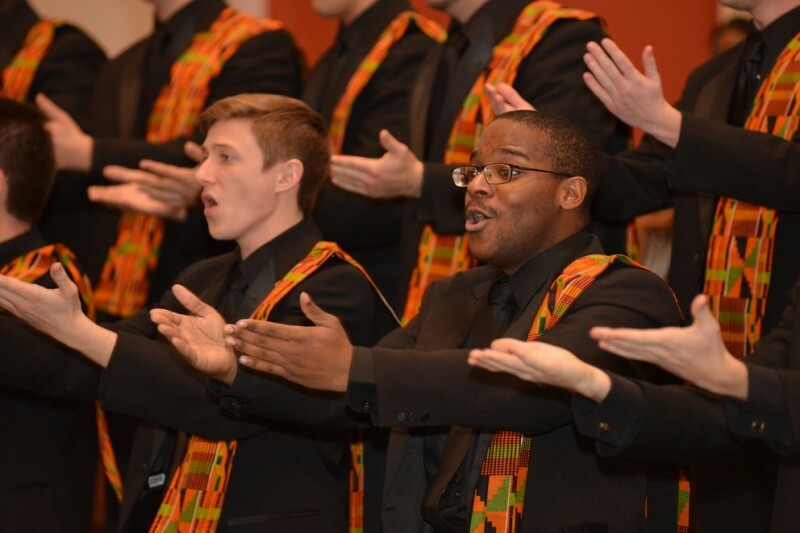 “Using a variety of musical styles from the African-American choral idioms, audiences will be inspired to reflect on the advent and Christmas seasons as familiar texts with creative musical nuance fill Presidents Hall at the Penn Stater,” Leach added. Tickets can be purchased at wpsu.org/winterfest, and a limited number of will call tickets will be available at the door the evening of the concert. Winterfest is a live winter music performance benefitting Penn State Public Media. The concert brings together musicians and vocalists from the University and greater State College community with the purpose of supporting local public broadcasting.